Our blog friend Bassa (she is now on Facebook too) has this incredible perspective on things as she and her Tall person walk around their town of Tbilisi in the Republic of Georgia. 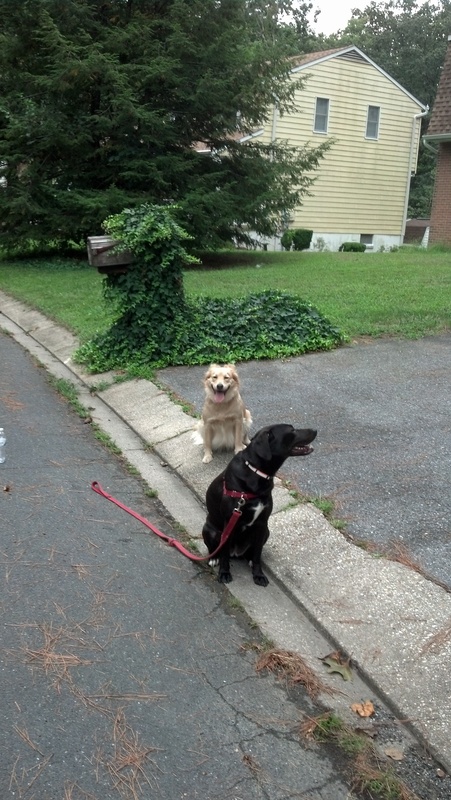 So, when we were out walking today, the dogs notices a giant green dog guarding a house. This is something that Bassa would notice for sure. Louise asked me to take a picture of them with him. He did not say much to us and just sat there guarding. The girls want him to come over and play in the yard but I told them that I think he is kind of ‘rooted’ at his house. That is an amazing ‘tree dog’! Bassa will definitely appreciate your find! Maybe they have this breed in her neighborhood too. 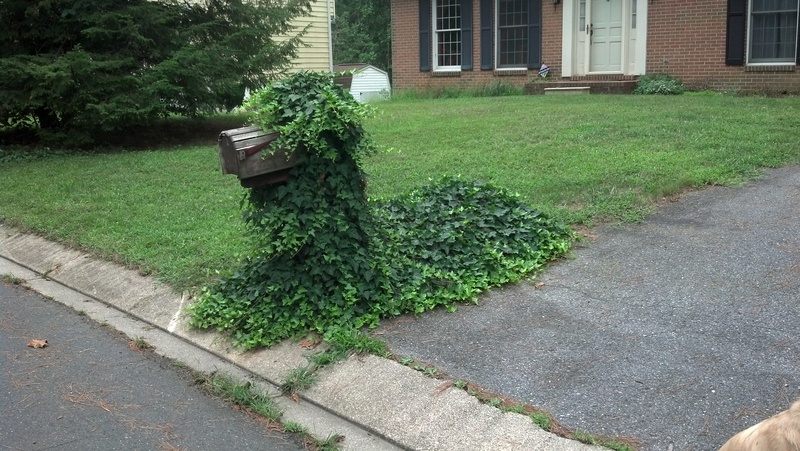 You totally did a Bassa – I love your new green neighborhood friend! Ha! That IS a very Bassa-like observation. Something I never would’ve noticed, but I see it as soon as you (or Bassa) say it!! It is kind of like cloud gazing. That is so clever and most definitely something Bassa would have noticed. Love it! Thanks Chancy. All in the way you look at things. I wonder if the owners of the house are aware that they have a large green dog? Everyone talks about “going green”, but these people really walk the talk!! I love the picture of all three of them. Now they can tell everyone they have a very unique and special friend! I want a dog like that!! Love it!! Wonder if they know they have a green dog. Hahahaha! Yes, it is something that I would have noticed 🙂 Superb! I did not think you would mind the reference. It is interesting how many people know exactly what it meant. Hilarious! I want a green dog, too! And it’s so cool that you’re on Facebook now!! Thanks Jessica. Always trying to branch out and improve.